First Floor 1118 sq. ft.
Width 44 ft. 4 in. Depth 47 ft. 4 in. 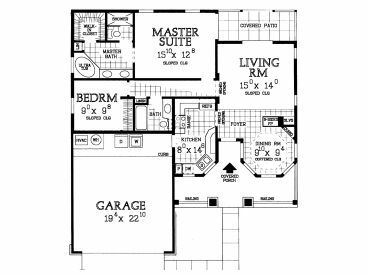 Whether you are planning to downsize or just starting out this small and affordable two bedroom, two bath house plan has plenty to offer. 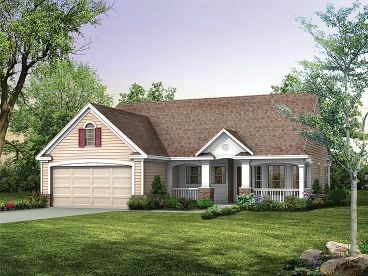 Retirees will love it because it is designed on one level and keeps the budget in mind. 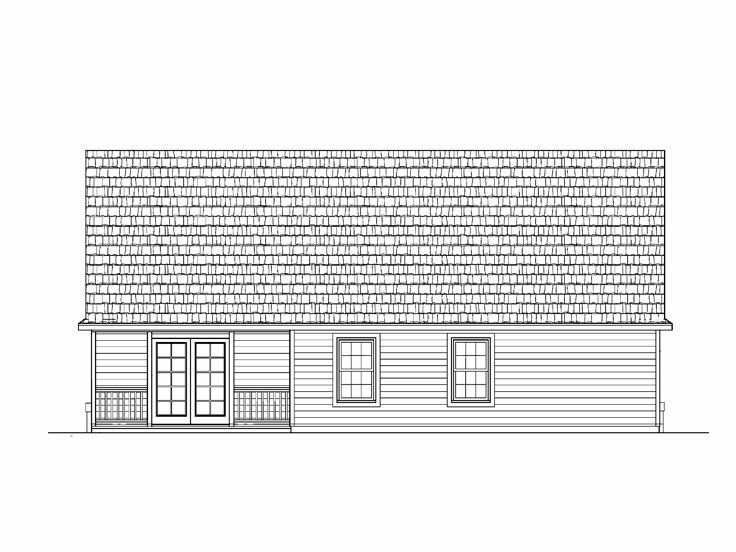 First time home owners will enjoy its simple character. 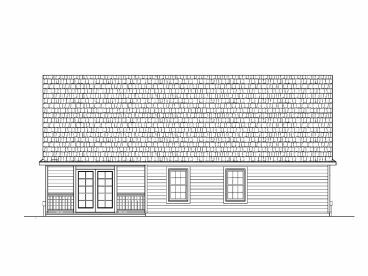 A covered front porch greets all and points the way to the foyer. Inside, the space saver kitchen sits to the left and has access to the 2-car garage and laundry facilities. On the right, the octagonal dining room enjoys and coffered ceiling and views of the front yard while sharing a three-sided fireplace with the living room. The living room is a comfortable gathering space and a covered patio extends the living areas outdoors. Through an arched opening, you’ll find your way to the bedrooms. A secondary bedroom enjoys access to the hall bath. 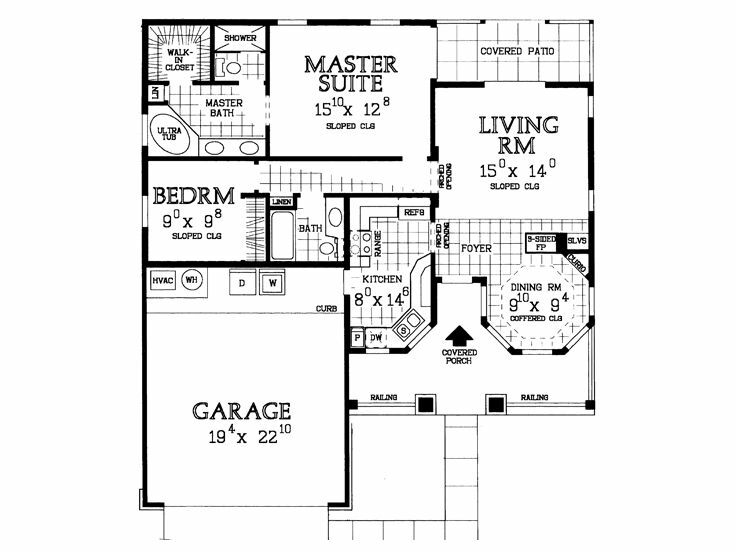 Your master suite showcases an elegant sloped ceiling and a deluxe bath complete with soaking tub and walk-in closet. 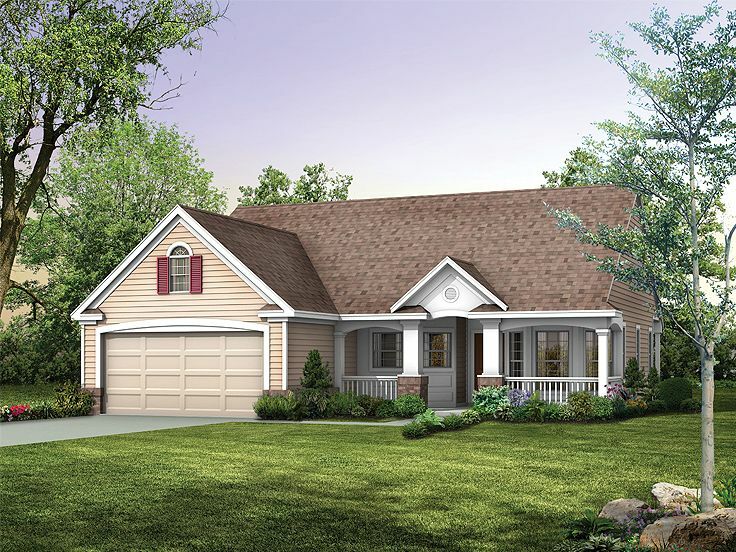 Perfect for a small lot and a tight budget, singles and retirees, this economical ranch house plan is just what you’re looking for!